A study conducted by the American Diabetes Association indicates that wrong beliefs about diabetes are barriers to the optimal management of the disease. The survey involved 151 diabetic patients. Forty-nine percent of the patients thought that the effects and symptoms of diabetes type 2 are minimal. As such, they believe they have little control over the chronic illness. Diabetes is a major cause of stroke, cardiovascular diseases, foot amputation, and adult blindness. These are facts. But across the US, from London, Ohio to America Fork, Utah, there are misconceptions about diabetes and its management. The myths range from causes and prevention to control and treatment. Eating less sugar is one of the healthiest habits. But saying that too much sugar is the cause of diabetes is wrong. The truth is any calorie-dense diet increases the risk of contracting the illness. Calories come from sugar and other sources, such as avocado, baked beans, and the like. Calories contribute to weight gain and, consequently, type 2 diabetes. Did you know that diabetes is deadlier than HIV/AIDS and breast cancer? Type 2 diabetes is the most prevalent form. Most people live with it for years before getting a diagnosis. The common symptoms are frequent peeing, thirst, blurred vision, and fatigue. These may be confused for other causes. Early diagnosis is recommended to curb serious complications. This is one of the myths to ditch. Being overweight doesn’t mean you’ll contract the disease. Of course, a BM of 25 and above is a risk factor. But there are many overweight individuals who never get the ailment. Nonetheless, you shouldn’t give in to obesity because it may still lead to other health problems. The dramatic increase in body mass coincides with a diabetes diagnosis, says CDC. There are many other risk factors: genetic inheritance, high blood pressure, and lack of physical exercises. You don’t need food items different from what your family eats if you are diabetic. All you need is to follow a healthy nutrition plan. Choose combinations of meals with low fat. Consume the right number of calories each day, and opt for nutrient-dense delicacies. Have you just been diagnosed with the condition? Is it type 1 or type 2? These are questions you need to address before rushing to get insulin. Insulin is needed in the case of type 1. Often, medication, proper diet, exercises, and oral medication keep diabetes type 2 under control. 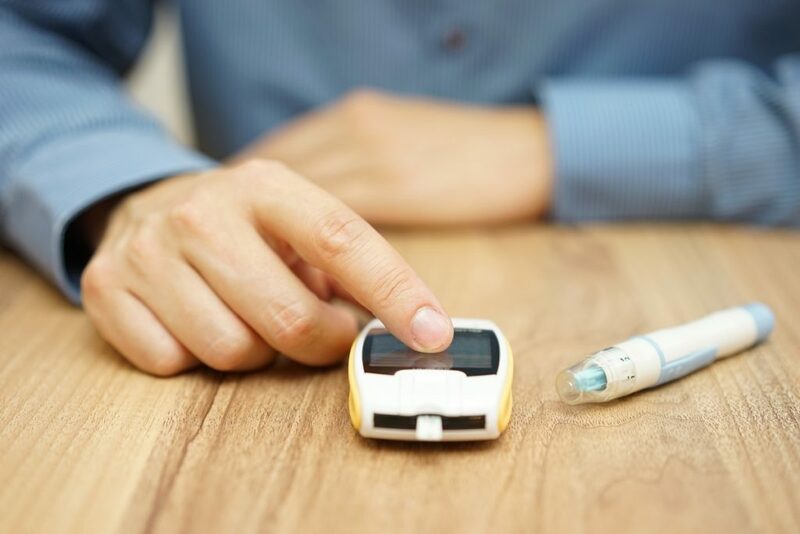 If these do not work, people with type 2 may only need one insulin injection a day. The most important thing is to adopt a healthy lifestyle. This involves regular exercising, eating healthy, no smoking, and not taking narcotics. Today, kids as young as 5 years are also victims of diabetes. Decades ago, when a child was diagnosed with the illness, it was almost sure to be type 1. This form is known as juvenile or insulin-dependent diabetes. Cases are different these days. Children and adolescents are also contracting type 2. Did you know there are more than 30 million patients living with diabetes in America? This is according to the Centers for Disease Control and Prevention (CDC). The numbers are escalating every day. The affected population needs to learn how to prevent or delay complications associated with diabetes.